Every year, the Colorado Innovation Network (COIN) holds a conference and publishes an Innovation Report that examines statistics and data around the four pillars of Talent, Ideas, Capital, or Entrepreneurship. This year’s COIN Report focused specifically on Talent—obviously a topic near and dear to our hearts—and features expert perspective from many, including TalenTrust CEO Kathleen Quinn Votaw. 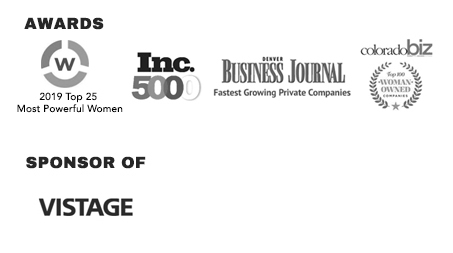 The conference and report both highlight what we at TalenTrust know to be true: talent is absolutely key to the continued innovation, growth and success of companies in Colorado and beyond. Finding Top Talent in Colorado is Easy, Right? Colorado is an exciting place to live and work these days. As you may have noticed (particularly when driving down I-70 on a Sunday afternoon), people have flocked to our state, drawn by both its incredible beauty and the promise of exciting opportunities. This means that we have a lot of amazing talent here. So hiring should be a breeze, right? Well, not exactly. It takes expert strategy, focus, and resources to find and keep great people. TalenTrust helps high growth companies understand that it’s not enough just to locate in a beautiful state and expect the right people to come flooding through your doors. As the COIN Report stresses, and we put into practice at TalenTrust, companies need to take the available talent and combine it with a smart use of data analytics, strategic planning, situational interviews, and other tactics to truly match the right person with the right job and company. Colorado is an exciting place to live and work right now, but companies need to capitalize on the availability of excellent talent in order to continue to grow and innovate and sustain our economy. This means recognizing challenges relating to education, infrastructure, generational differences, and work-life balance. Employees who are A-Players demand dynamic, flexible, and respectful workplace environments, and companies who want to succeed need to be fostering these qualities. TalenTrust is a professional services firm focused on high growth companies to ensure that they attract, engage and retain the best team, in order to achieve their growth objectives. For details on the specific solutions we offer—including strategic recruitment, consulting, employment branding, and much more—email us at connections@TalenTrust.com.